Matthew J. Mazzei, Ph. 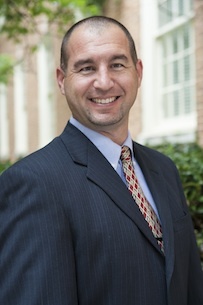 D., is an assistant professor of strategic management in Samford's Brock School of Business. Matt has taught a variety of management and entrepreneurship courses as a course instructor at both Auburn University and Samford, including topics on strategic management, corporate entrepreneurship/innovation management, project management, organizational change, and big data strategy. His research primarily focuses on corporate entrepreneurship, with secondary interests in new venture characteristics and big data analytics at the macro level. Mazzei has published in numerous scholarly journals, includingGroup & Organization Management, International Entrepreneurship and Management Journal, Management Decision, and Business Horizons. He is routinely invited to present his research at regional, national, and international academic organizations and at universities around the world. He has also provided consulting to a variety of for-profit and non-profit entities across Florida, Alabama, and Texas. Prior to a career in academia, Matt worked in the financial services industry, with management and leadership experience in finance, accounting, and information systems. In his most recent role, he served as the Director of Information Technology for the real estate asset management subsidiary of an international financial services firm. He is also a certified Project Management Professional (PMP).